Which Fictional Character Would Be Your Best Road Trip Buddy? The open road rules, but what really makes a great road trip is a good companion or two. If you could take any human, alien or anthropomorphic animal character on your next overland adventure, who would it be? 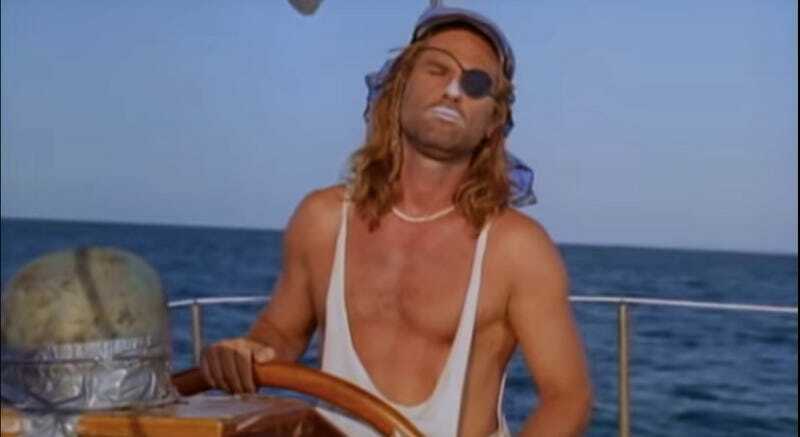 I would, without a doubt, draft Captain Ron to ride shotgun. If you’ve never seen the movie by the same name, the trailers on YouTube don’t do it justice. He plays it slow and loose, always gets into trouble, and he’s got an answer for everything that’s usually wrong. I think we’d get along perfectly. Think I’d rather pick him up in a rental car than my own though, he looks like he stinks something fierce.